What is a temporary implant bridge? When undertaking dental implants there is a healing process that needs to take place between the time the implant is placed in position and when the patient needs to go back to the dentist after the implant has healed. Patient’s often ask,"What happens in between the original surgery and when I come back for my second visit after the implant has healed"? After an implant placement a temporary implant bridge/crown is put in place. A temporary implant bridge consists of a temporary abutment and acrylic material that is fitted in place just for the healing period for aesthetic reasons. The front teeth are being replaced by dental implants or for a full arch reconstruction. No removable dentures or toothless healing period — fix your teeth in one visit! 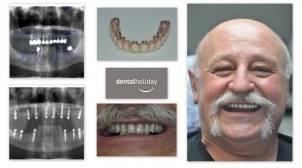 Check to see if the dental clinic offers “teeth in one visit” dental implants with a temporary bridge/crown. 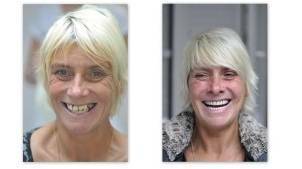 After a full mouth reconstruction the patient’s existing denture can be modified, so after the implant placement the patient will have teeth during the healing period which means no-one will notice any difference. The temporary bridge/crowns should be non removable. Temporary solutions should also be free of charge (check to make sure) and are not usually subject to a guarantee, however your permanent implants should be guaranteed. 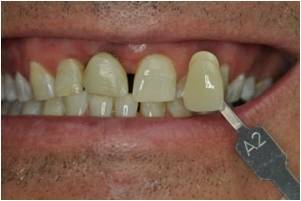 The temporary denture/bridgework is provided so the patient can function normally and no-one will notice that the implants are healing underneath. Healing caps are put on the implants and should also be provided free of charge. Check to see if your dental clinic abroad has an on-site lab. On-site labs provide a more efficient way of handling the bridges, crowns and dental other dental work, plus they reduce the need for you to make multiple office visits, especially between healing periods. However, the implant is still healing, and these "temporary teeth" are built for cosmetic reasons and you should only eat soft food while the healing is taking place. You should allow a couple of weeks for the implant(s) to get a firm grip on the jawbone. 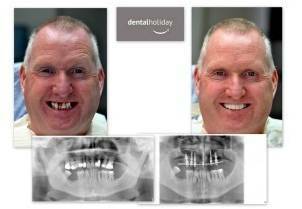 Before and after treatment with temporary bridge in just a two-day visit. Be sure to find a dental treatment abroad clinic with an expert implantologist and dental specialists familiar with dental implant procedures and temporary implant bridge/crowns. 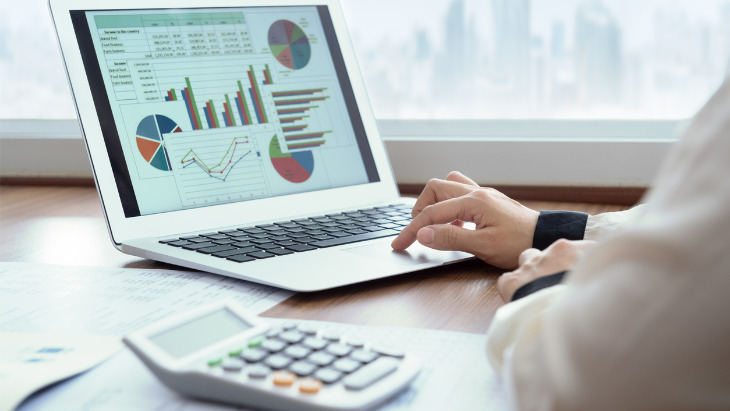 Make sure all your questions are answered and you understand all the costs involved before booking any dental treatment abroad. Your consultation and x-rays should also be free! Dental Holiday (Smile Clinic Slovakia) is a provider of high quality, affordable dental services with clinics in Bratislava and Piestany, Slovakia. 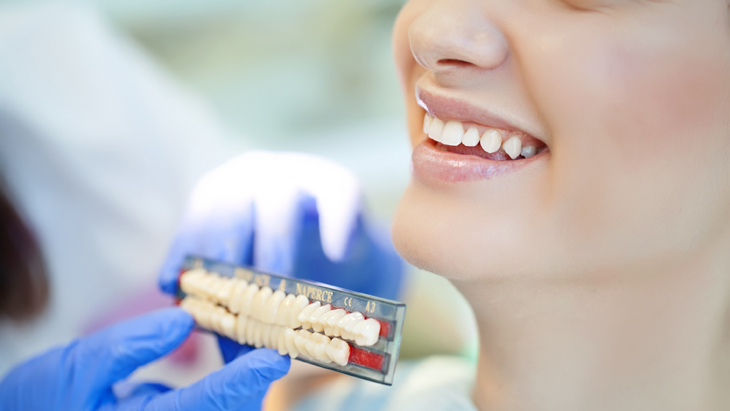 With a friendly atmosphere, state-of-the-art facilities and the option of 'sedative/deep sleep' treatment, the clinics offer a full range of general, restorative and cosmetic dentistry procedures including dental implants, root canal treatment, veneers, crowns and bridges, and tooth whitening.